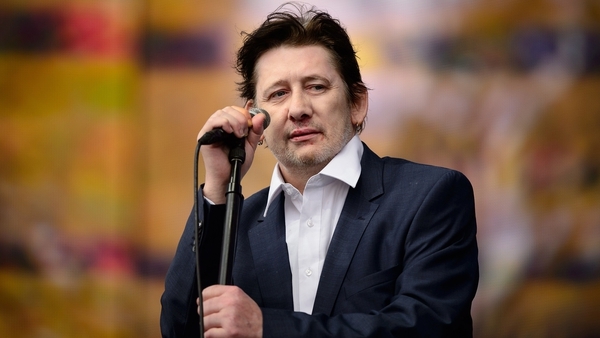 Victoria Mary Clarke and Shane MacGowan - "I couldn't have imagined it being more beautiful"
Newlywed Victoria Mary Clarke has told RTÉ Radio 1's The Ryan Tubridy Show that marrying Shane MacGowan in Copenhagen on Monday was "so beautiful", but that she is also "kind of surprised that people are so interested" in their nuptials. The writer and broadcaster told Tubridy on Tuesday's show that she couldn't have imagined the ceremony "being more beautiful", or people's level of interest in her marrying her partner of 32 years - 11 years after they first announced their engagement. When asked why she and Pogues legend MacGowan had chosen Copenhagen as the location, Clarke answered: "I just like it there. It's really beautiful, especially in the winter." Among the guests at the ceremony was actor Johnny Depp, who sang for the bride and groom and the other guests at the wedding reception. "He tried to do Rainy Night in Soho but Shane stopped him!" Clarke laughed. "He said, 'Stop! I don't want to hear that!' So then he did Astral Weeks, which was absolutely gorgeous. It was fantastic." When asked if her husband was "very romantic" on their wedding day, a giggling Clarke replied: "Not really! He was his usual self. He hasn't changed at all!" She signed off by thanking people for their good wishes. "Thank you to everyone who is interested and concerned and saying nice things. It's just lovely." Listen to the interview in full here.